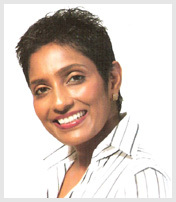 Alice Kaushal has an educational and professional background in the Airline and Hospitality industries. After completing her early education in Africa, Alice graduated with a Diploma in Hotel Management. She worked for Qantas Airlines, in Australia, as a flight attendant and in-flight trainer and then in Qantas Retail Sales. While living in Dubai, she worked for Emirates Airlines Corporate Sales. Alice worked as the European based Representative of Barberyn Ayurveda Resorts, one of the worlds’ leading international health resorts. She organized the company’s participation at exhibitions in Germany, Sweden, The Netherlands, Dubai and Hong Kong. She was also responsible for customer relations, business development, event and media management in Europe. Alice is truly a global citizen – she has, as she puts it, “lived and worked in every continent except Antarctica”. She has absorbed and enjoys diverse cultures and can converse in several languages. Alice has been trained as a trainer by the “Emily Post Institute”, the international authority on Business Etiquette. She is a contributor to a monthly column on etiquette for BBC Good Homes (India). In addition, she has had several articles on Business Etiquette and etiquette problem solving published by the South China Morning Post- Classified Post. Alice is the Managing Director of Refine Consulting. Carol Donaldson has an educational and professional background in training, business, customer relations and people management, particularly in the aviation industry. At Ansett Airlines in Australia, Carol was responsible for the recruitment of Cabin crew, and managed the ongoing training and development of flight attendants, ensuring best practice customer service processes. She then worked for the Examiner Newspaper in Tasmania, Australia, where she held the position of Promotions Manager, responsible for the Marketing and Promotions of the newspaper. Carol rejoined Ansett Australia and held the position of State Manager, Cabin Crew Department, before returning to Tasmania to manage the largest customer contact centre operations of the airline. She moved on to become National Relationship Manager, Excelior Australia, one of the largest third party customer contact centers in the region. 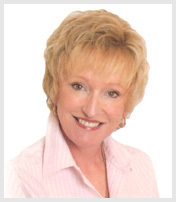 Carol is Director-Training and Business Development, Refine Consulting.